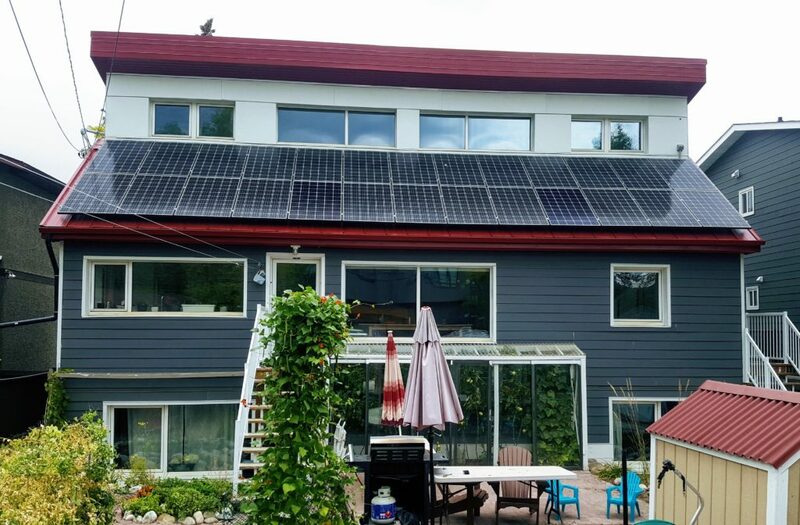 This Passive House with secondary suite was completed this fall after 2 years of design and construction. It is the first Passive House project in Calgary. 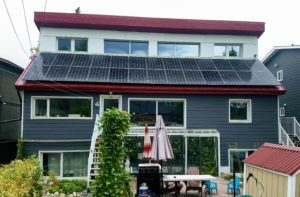 The owners, both engineers, took the Passive House Designer Course and have done much of the design and build themselves. 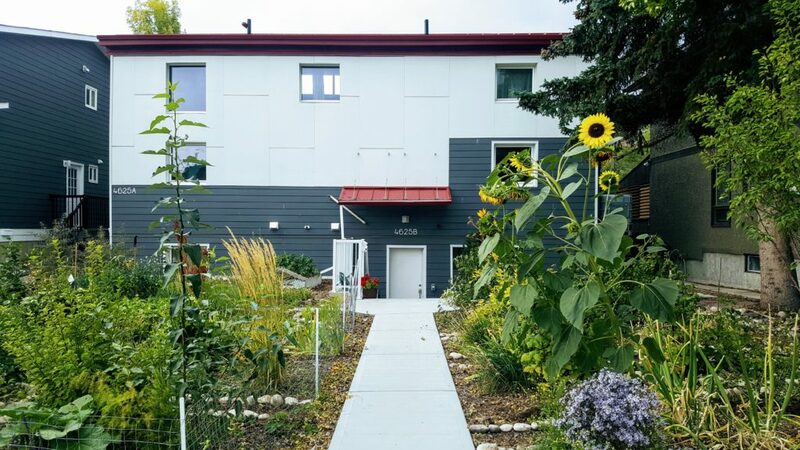 The lot was chosen with Passive House in mind, and has excellent south exposure (this can be hard to find on residential lots in Calgary). The basement slab and walls are wrapped in 8” of EPS foam. 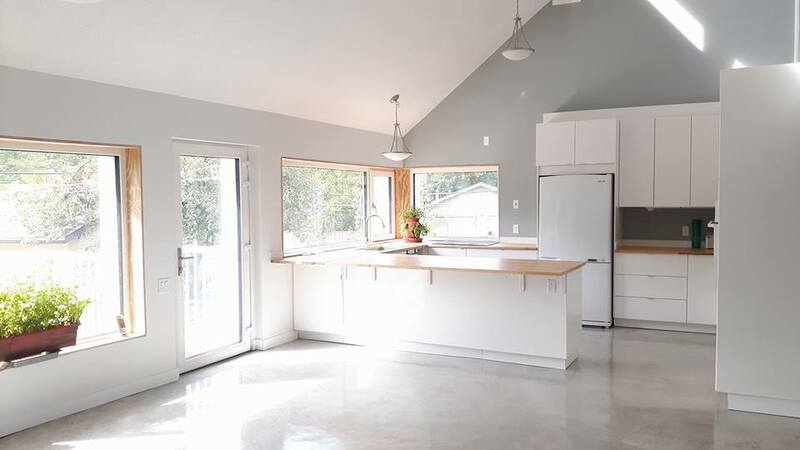 The concrete floor and walls were left exposed on the inside to maximize access to the thermal mass. 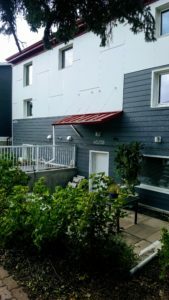 For the main level and loft, a 2×6 wall with additional exterior rock wool insulation was chosen to more closely resemble conventional wall construction. This was done to make it easier to get permits, pass city inspections, and find a framer. Two separate Zehnder ComfoAir ERVs provide ventilation to the suite and upper levels. A natural gas instantaneous hot water tank provides domestic hot water and feeds hydronic coils in the supply air streams for additional space heating. 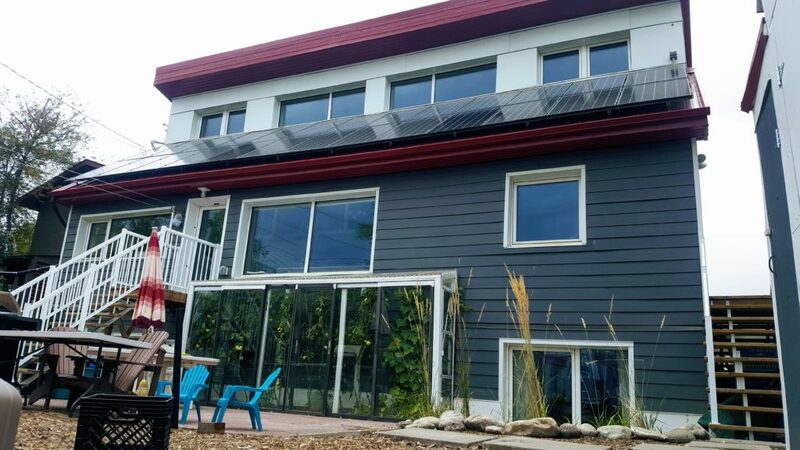 Klearwall Passive House Certified windows are used throughout. The simple geometry and bold colours were inspired by homes in Iceland. A metal roof was chosen for durability and to reduce contamination of water collected for irrigation. 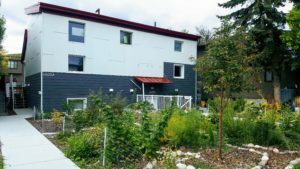 The small building footprint relative to the lot size maximizes the space left for a food forest and annual garden.